A Chinese national who admitted to participating in a years-long conspiracy that involved Chinese military officers hacking into the computer networks of major U.S. defense contractors in order to steal military technical data was sentenced today to 46 months in federal prison. Today’s sentencing was announced by Assistant Attorney General for National Security John P. Carlin and U.S. Attorney Eileen M. Decker of the Central District of California. Su Bin, who is also known as Stephen Su and Stephen Subin, 51, a citizen and resident of the People’s Republic of China, was sentenced today by U.S. District Judge Christina A. Snyder of the Central District of California. Su told his co-conspirators – military officers in China – whom to target, which files to steal and why the information they stole was significant. During the course of the conspiracy, Su and his co-conspirators stole sensitive military and export-controlled data and sent the stolen information to China. On March 23, Su pleaded guilty to one count of conspiring to gain unauthorized access to a protected computer and to violate the Arms Export Control Act by exporting defense articles on the U.S. Munitions List contained in the International Traffic in Arms Regulations. 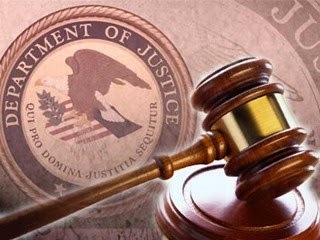 Su admitted that he conspired with two persons in China from October 2008 to March 2014 to gain unauthorized access to protected computer networks in the United States – including computers belonging to the Boeing Company in Orange County, California – to obtain sensitive military information and to export that information illegally from the United States to China. Su admitted that as part of the conspiracy, he sent e-mails to his co-conspirators with guidance regarding what persons, companies and technologies to target during their computer intrusions. One of Su’s co-conspirators gained access to information located on computers of U.S. companies, and he emailed Su directory file listings and folders showing the data that the co-conspirator had been able to access. Su then directed his co-conspirator as to which files and folders his co-conspirator should steal. Once the co-conspirator stole the data, using techniques to avoid detection when hacking the victim computers, Su translated the contents of certain stolen data from English into Chinese. In addition, acoording to Su's admissions and the sentencing documents, Su and his co-conspirators each wrote, revised and emailed reports addressed to the Second Department, General Staff Headquarters, Chinese People’s Liberation Army about the information and technology they had acquired by their hacking activities, including its value, to the final beneficiaries of their hacking activities. Su also admitted that he engaged in the crime for the purpose of financial gain and specifically sought to profit from selling the data the he and his conspirators illegally acquired. The case was investigated by the FBI’s Los Angeles Field Office’s Cyber Division with assistance from the U.S. Air Force Office of Special Investigations. This case was prosecuted by the U.S. Attorney’s Office of the Central District of California’s Terrorism and Export Crimes Section and Trial Attorney Casey Arrowood and Senior Trial Attorney Robert E. Wallace of the National Security Division’s Counterintelligence and Export Control Section, with support from the Justice Department’s Office of International Affairs.